Strategy drives tactics. 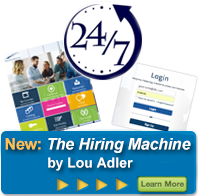 Unfortunately, too many HR/Recruiting leaders attempt to solve fundamental hiring challenges tactically, without a proactive talent-driven strategy in place first. Without a strategy, projects like purchasing a new technology, changing recruitment advertising agencies, sending recruiters to a sourcing class, implementing new interviewing training, or upgrading an ATS are all destined to fall short. Yet, with the right strategy, each of these important decisions can be made based on how it helps the company meet its hiring strategy and improve overall quality of hire. We offer a variety of services to help our clients maximize quality of hire. It starts by developing a talent-driven strategy that ties to your company’s business objectives. Implementing Performance-based Hiring throughout your company ensures that every manager sees and hires the best person every time. These consulting services are listed below, but don’t hesitate to contact us if you’d like more information about implementing Performance-based Hiring or to discuss any hiring challenges your company is facing.